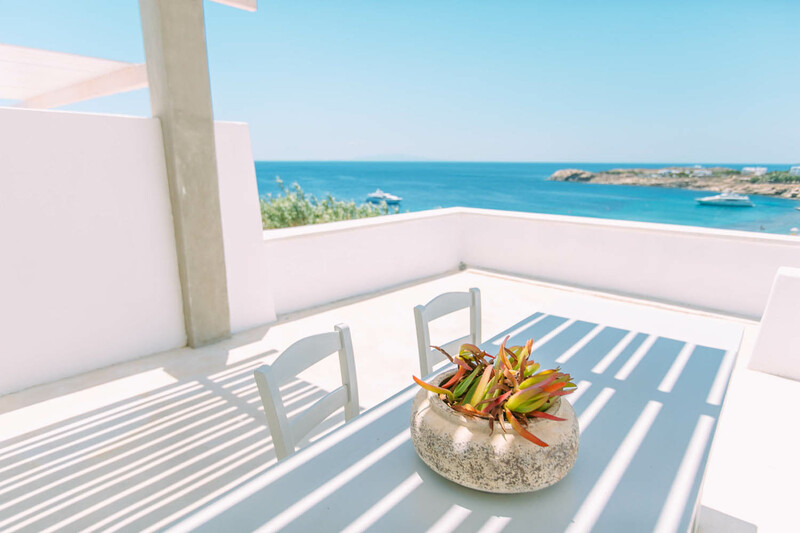 The Wanderlife Team’s 2015 Europe trip started in Mykonos at one of our favourite stays, the Votsalaki Boutique Resort. We stayed in one of Votsalaki’s Premier Villa Rooms. 2 Bedrooms, Living Room, 2 Bathrooms, Outdoor setting, Outdoor Reading nook, Kitchen & an incredible view from right outside the apartment door. It’s literally paradise. 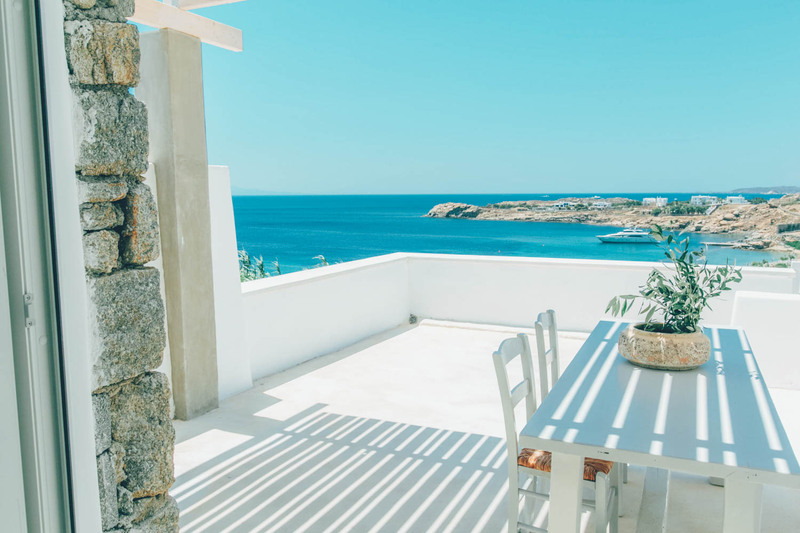 – Prime location for those looking to enjoy Mykonos’s famous Paradise beach. 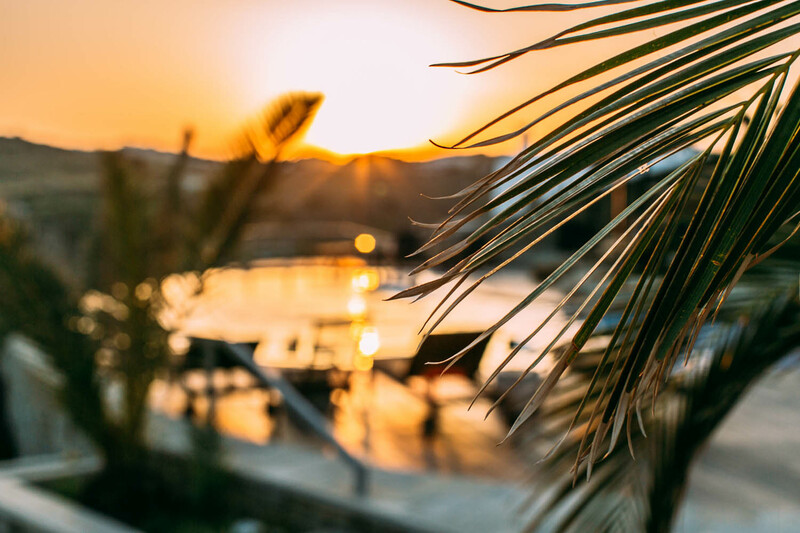 Paradise Club, Tropicana & Club Cavo are all a short stroll away for those looking to indulge in the islands ample party culture. – Boutique experience. 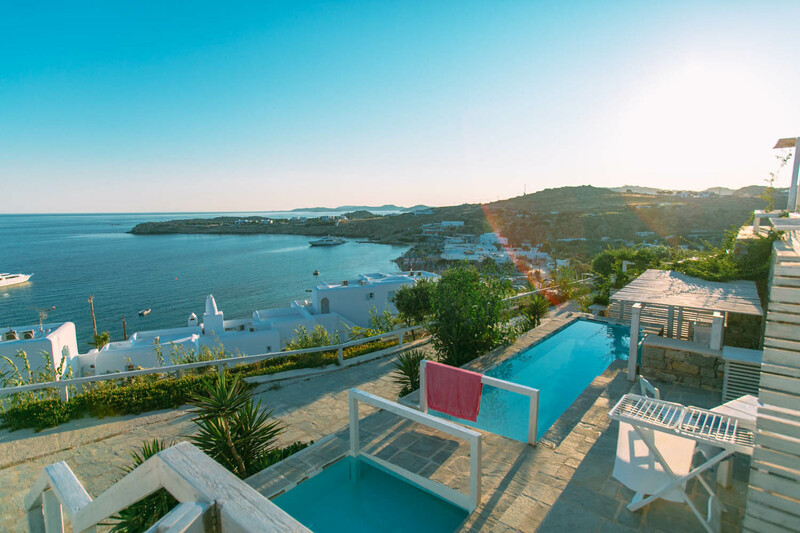 Being a small resort with a mix of Villas and apartments, staying at Votsalaki guarantees you won’t be dealing with crowds at the pool or in the grounds. 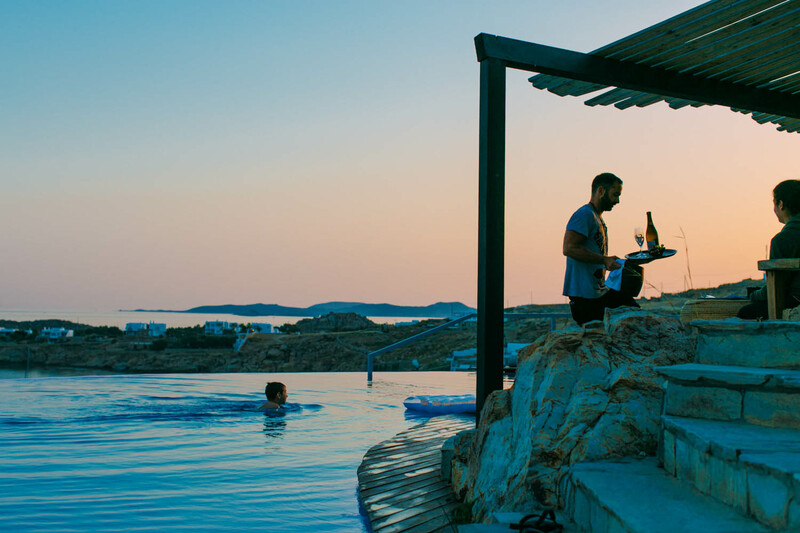 Staying at Votsalaki feels like home and you’re treated like family. – The design. 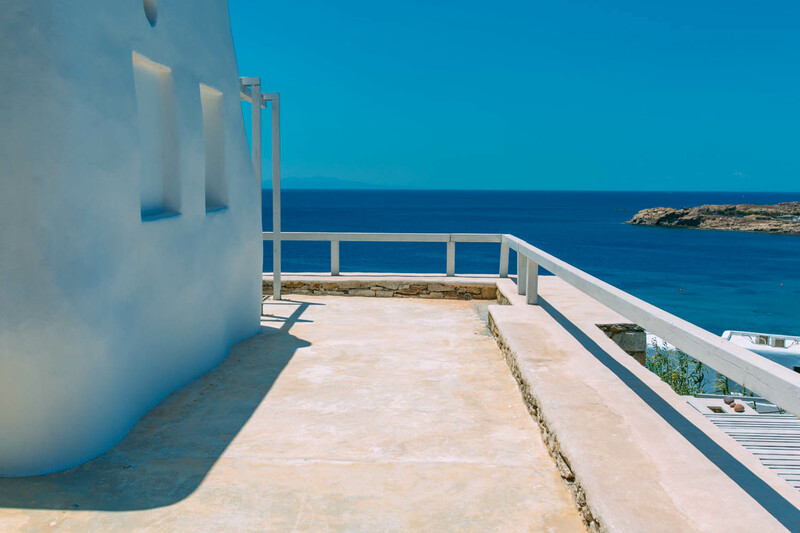 The architect of Votsalaki is a bit of a legend around the island, known for being the man who brought black to Mykonos. Votsalaki uses black finishes on their deck chairs and bar area, which is quite out of character for this island famous for it’s white buildings. 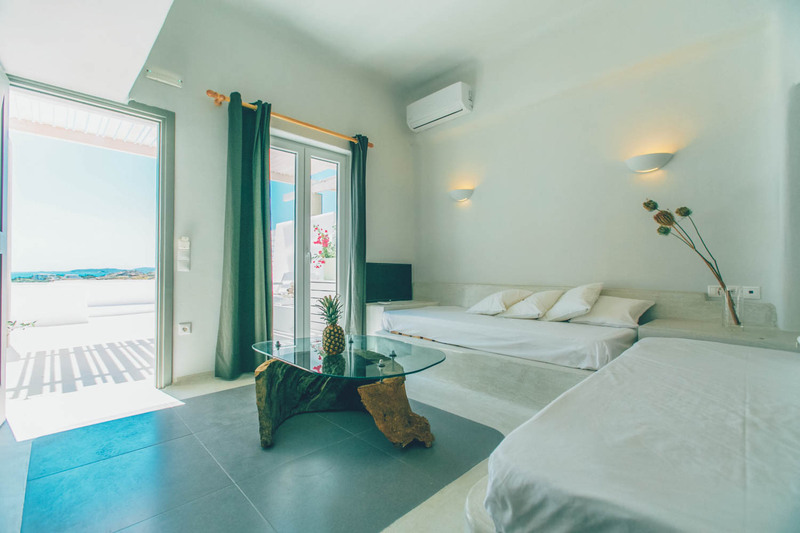 Votsalaki still gives you that authentic greek Villa experience, with extensive use of white within the private rooms. 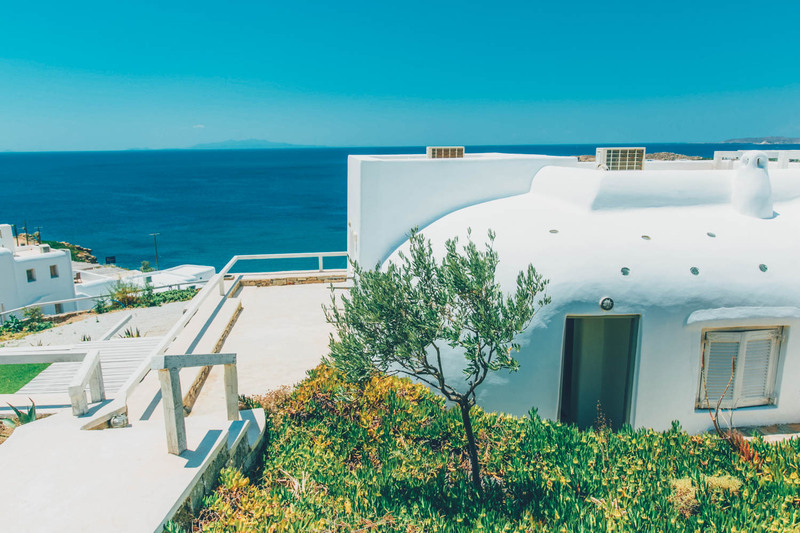 Inside you’ll be hard pressed to find a sharp corner, in the traditional Cycladic architecture style all the corners of the rooms are rounded off, creating a nice zenlike energy flow, which is sure to relax even the most stressed patron. Every room, apartment and Villa within the resort enjoys a million dollar view not to be missed. – The outdoor gym overlooking the ocean is nothing short of purely motivating. If every gym provided this kind of experience, we’d all be a lot fitter, that’s for sure. There is a bench press, chin up bar, bike & hand weights, and the view is incredible. – The People. 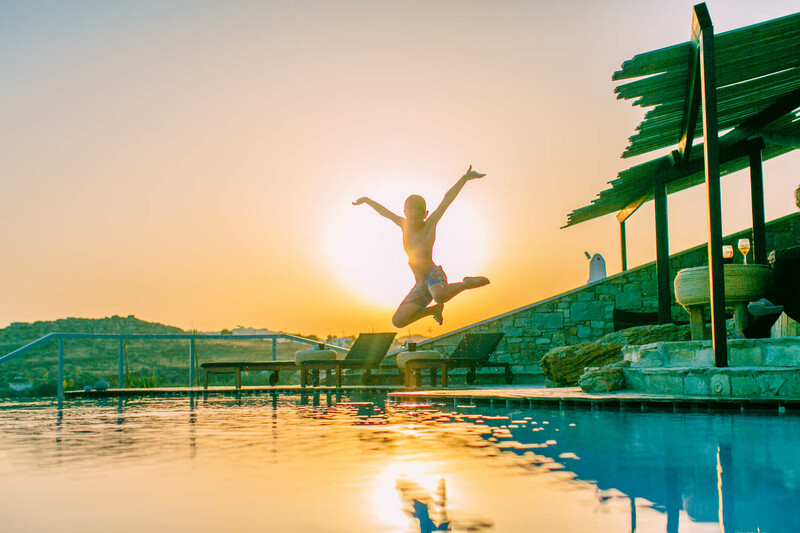 Votsalaki is a family run business that really care about your experience, both at the resort and in Mykonos. 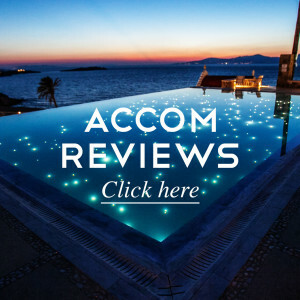 The owners & managers are the kind of people that will go out of their way to help you in any way to create a vibe and experience that will have you booking your next stay before your first one is up, just to secure this slice of heaven for another time. Being situated overlooking Paradise beach is amazing, but if you don’t enjoy house music you may not be fond of the background music at times, as Tropicana’s beach party pumps tunes from the afternoon on, which can be heard at the hotel. That said after the 2nd night you get used to it, and the apartments are quite soundproof when you’re indoors. Unfortunately during our stay there were network problems Island wide, that make connectivity a slow struggle, it did improve throughout our stay however. 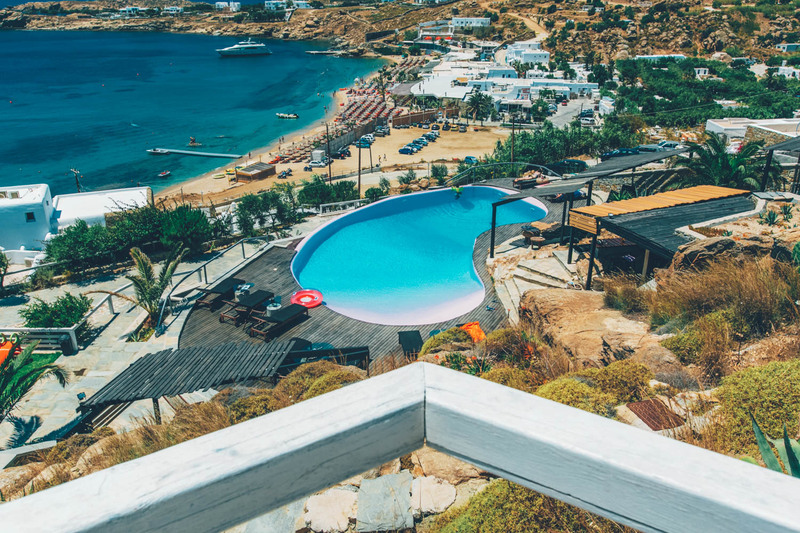 Mykonos struggles island wide to get high speed internet, so if you need fast wifi we suggest investing in a 4G modem so you can connect to the phone networks, you can buy these on the island. That said, it’s hard to complain about wifi when you’ve got that view! Most people want to get away from the computer as it is on holidays, so this probably isn’t an issue for many travellers. THE WONDERFUL PLACE, I LOVE YOUR PHOTOS!! oh my god. this is a dream. I'm in love! The pictures are so stunning. These pictures are so COOOL :) Bisous from France! How beautiful! I love the look of the place and it definitely seems like an awesome place to go to for relaxation! It must me like in paradise there! oh wow this place looks so idyllic! I need a vacation! Your photos are absolutely, breathtakingly amazing! :) <3 Love it so much! Wow, this place looks ah-mazing! These photos are absolutely breathtaking! !